French auto maker, Renault created a great buzz and a sort of revolution in the Indian entry-level hatchback segment with its cool and stylish Kwid. The Kwid with its pseudo SUV stance has been a massive success since its first launch in India in late 2015, the Kwid has been selling like hot cakes and has been a regular in the Indian top ten bestselling cars’ list. Renault Kwid has been a very bold move from the French maker, as it fights in the very tough entry-level mini car segment in India that is dominated by the country’s top selling car Maruti Suzuki Alto and very popular Hyundai Eon. Buoyed by incredible success, Renault launched the more powerful 1.0-liter engine version of the Kwid earlier in 2016 and went on to launch the Kwid Automated Manual Transmission (AMT) late in 2016. 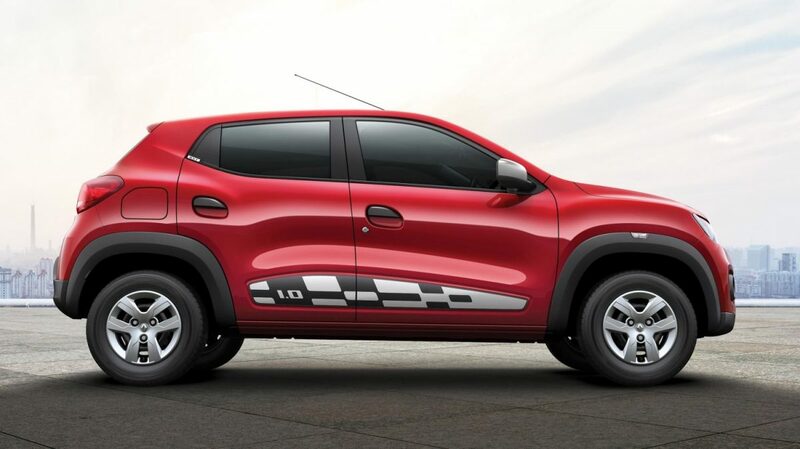 The new Renault Kwid AMT has been named as the Kwid Easy-R. The great Renault Kwid has come as a superior choice for the first time buyers of the country who could not think of anything more than a very basic small hatch within a strict budget. However, Renault has changed the entire notion of the entry-level hatchbacks in the modern Indian car market. With the Kwid you get great SUV-like exterior design, superior interior space, outstanding boot space, great features, good performance and also premium quality AMT (automated manual Transmission) gear-knob. All these are certainly too exciting for an Indian first time car buyers, especially when this car also comes with an amazing affordable price tag. So, if you have been eyeing the Renault Kwid and wish to bring it home soon, there here’s all that you need to know about before you actually buy it. Exterior design looks really matter and styling is one of the key buying aspects for any car. Styling-wise the Kwid is a very smart, sporty and contemporary car with a SUV-ish design, high ground clearance and many attractive styling elements. You can’t get a better looking car than the Kwid in the Indian entry-level hatchback segment, or so we think. This kind of sporty styling with a SUV stance in this segment was not thought of before and Renault has really hit the nail. In terms of dimensions the Kwid is superior to its very popular market rivals. The hatchback is 3,679 mm long, 1,579 mm wide and 1,478 mm high. It sits on a wheelbase measuring 2,422 mm and also boasts of best in class ground clearance of 180 mm. Moreover, the car offers a magnanimous boot capacity of 300 liters, which is really astounding in this segment. Apart from its great ground clearance, the Kwid humiliates some very popular hatchback model from higher segments such as the Celerio, Wagon R and even the Swift, with its superb cargo area. Thus, the Kwid also offers a superior interior space than its established market competitors, but its only downside is a comparatively smaller fuel tank capacity of 28 liters. The Renault Kwid is available in two engine choices, a small 800 cc engine for the lower variants and a more powerful 1.0-liter petrol mill that is available only on the top model trims. The 1.0L 3 cylinder, aluminum DOHC petrol motor that is able enough churn out a max power output of 65 hp along with a peak torque of 95 Nm. The engine gets paired to a 5 speed manual transmission and a 5 speed AMT gearbox. The Kwid AMT offers the ARAI certified fuel economy of 24.04 km per liter. The Renault Kwid’s top of the range model trim – RXT (O) offers a whole lot of attractive features to allure the buyers. The exterior features on this model include front fog lights, sporty wheel arch cladding, eye-catching checkered flag decals on its doors, dual tone electrically adjustable wing mirrors, blackened B-pillars among others, which make the sporty looking car look all the more alluring. On the inside, the top of the range Kwid AMT is fully packed with many attractive and handy features that could not be expected in an entry-level mini car in India previously. The Kwid is packed with features such as stylish two-tone dashboard, digital instrument cluster, a stylish steering wheel with piano black highlights, electric power steering, front power windows, a large 7-inch touchscreen infotainment system along with media NAV, Navigation, Bluetooth telephony and Aux-in connectivity, two glove boxes and more. In terms of safety features, the Kwid comes braced with safety equipments including dual front airbags, ABS, keyless entry and centre locking system and others. The new Renault Kwid 1.0-liter version models are available in two top model trims namely the RXT which is priced at Rs. 3,82,776 and the RXT (O) that has been priced at Rs 3,95,776. On the other hand, the new Renault Kwid AMT version is only available on the top of the range model trim the RXT (O). The Renault Kwid RXT (O) AMT model has been priced at Rs. 4.25 lakhs (all prices ex-showroom, New Delhi). The Renault Kwid comes with a great standard 2 year or 50,000 km (whichever is earlier) warranty. The Renault Kwid is simply a great choice for the entry level car buyers of India. If you are a first time car buyer or even a second time car buyer with a strict budget, but don’t wish to settle down for basic stuff and boring design language just for the brand name, then the Renault Kwid small hatch is a perfect pick for you. The Kwid’s design language with a SUV stance really created a huge wave in the Indian car market, as no one previously expected such a thing in a mini hatchback with such a great price tag. And the Kwid is not only about looks, but also about great space features and smooth driving experience. The Kwid AMT even offers a premium style rotary gear knob that can be seen on only luxury models like Jaguar Land Rover. In few words, the Renault Kwid is simply a wow small hatchback to go for.